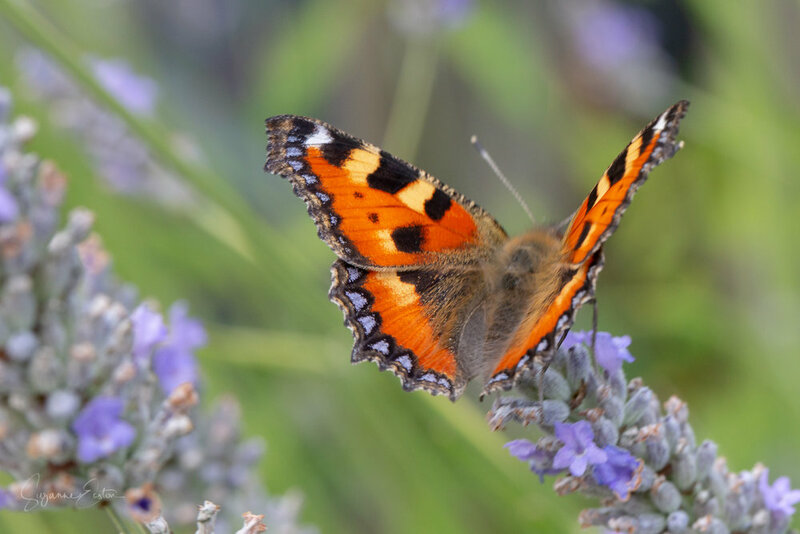 Just when the lavender was fading there was a final visitor. Absent until the end of the summer sunshine it was now battling the rain and gales to feed. The small tortoiseshell butterfly (Aglais urticae) had remained hidden through the beautiful warm weather. A common visitor usually, maybe the dry weather in May and June or my final control over the stinging nettles had meant it wasn’t until now that the butterflies were emerging.